Step inside this grand residence and find 18-foot ceilings, a spiral staircase, and ornate chandeliers. Few Americans could have afforded the Carroll Mansion in the early 1800s when Charles Carroll, the last surviving signer of the Declaration of Independence, bought this Lombard Street house for his daughter and son-in-law. Carroll, however, was in no way an ordinary citizen. In addition to being the only Catholic signer of the Declaration of Independence and the first Catholic senator, Carroll was fabulously wealthy. He was instrumental in founding the B&O Railroad, the First and Second National Banks, and gave lavishly to build the Baltimore Basilica and Georgetown University. Before his death in 1832 in the Mansion, Carroll entertained frequently for people who came to learn about the Revolution first-hand. John H.B. Latrobe, son of the famous early American architect Benjamin Latrobe, called it "the finest house in Baltimore at the time." The building has a history as varied as its most prominent occupant. 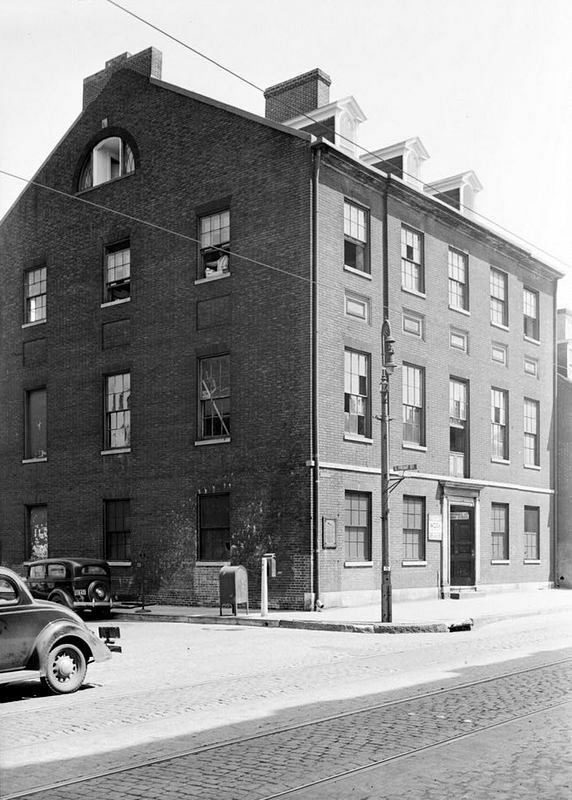 It has been a saloon, a house for Jewish immigrants, a sweatshop, a school, and a recreation center. The City first boarded it up in 1954, then restored it and operated as a history museum until 1997, when it was again boarded up. In 2002, the non-profit organization Carroll Museums, Inc. reopened the Mansion and has been restoring it since. It is currently open for tours and to rent for events. Johns Hopkins, “Carroll Mansion,” Explore Baltimore Heritage, accessed April 19, 2019, https://explore.baltimoreheritage.org/items/show/27.